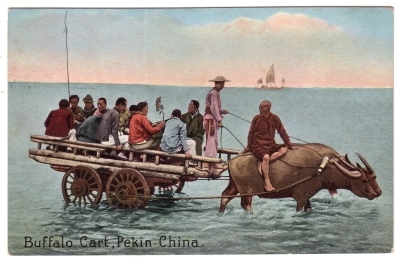 Caption: Buffalo Cart, Pekin - China. Action: Buffalo cart in water, loaded with male passengers. Image Particulars: Composite image based on a photograph, with details added. 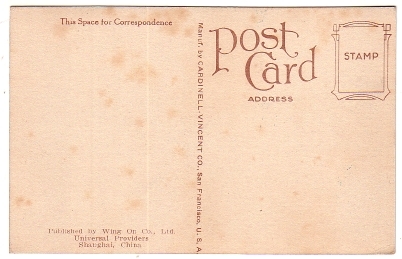 / The men’s hair combine short and long, which places the photograph shortly after 1911.